As part of my renewed research endeavor I resumed guest contributing to the excellent IAM – Intense Art Magazine. The new post is about the German-Ghanaian artist Zohra Opoku whose multimedia works, that use new and recycled garments and textiles, interrogate belonging, nationalism, and hybridity. I’m glad I had a chance to write about her, as she is one of my favorite artists. Zohra Opoku is an acclaimed multimedia artist based in Accra, Ghana. Last year, her solo show “Unraveled Threads” held at Mariane Ibrahim Gallery, Seattle, won the Armory Show’s Presents Booth Prize. The judges commented emphatically on Opoku’s way of “targeting fashion’s political and psychological role and socio-cultural dynamics in relation to African history and individualistic or societal identities”. That award is one of many accolades Opoku has received since she began exhibiting her videos and installations of fabric, photographs, sculpture. Her works have been shown in several European and African galleries, she has held residences in Belgium, Brazil, the Netherlands, and guest curated the show PERFORMEUM at the Temporäres Museum für performative Künste in Vienna. Born in the German Democratic Republic to a Ghanaian father, Opoku claims to have grown up experiencing the feeling of simultaneous belonging and alienation shared by the artists of the diaspora. A fashion graduate of Hamburg’s University and a former fashion designer at Henrick Vibskov’s studio, Opoku directs fashion’s preoccupations with looking and presentation toward an investigation of the memory and materiality of home. What is home? Is home one? What makes it resonate with “self”? These questions then point at how multiple belonging affects self-identification and self-worth. In “Handwash” (2011-12) photographs of bundles of clothes and garments hanging out to dry act like curtains opening onto domestic exteriors. The African backyards and compounds that surround or are glimpsed through the outlines of these “sculptural drapings” seem to beckon the observer, inviting some sort of interaction, a further exploration. Yet the clotheslines, which generally mark the perimeter of “home”, conceal as much as expose. The photographed scenes stop just short of giving a glimpse into private spaces and intimacy, drawing a physical boundary that is itself a dwelling, a place to rest and enjoy the ever-changing shapes of the clothes drying in the sun. The threshold or boundary is a recurring motif of Opoku’s opus. 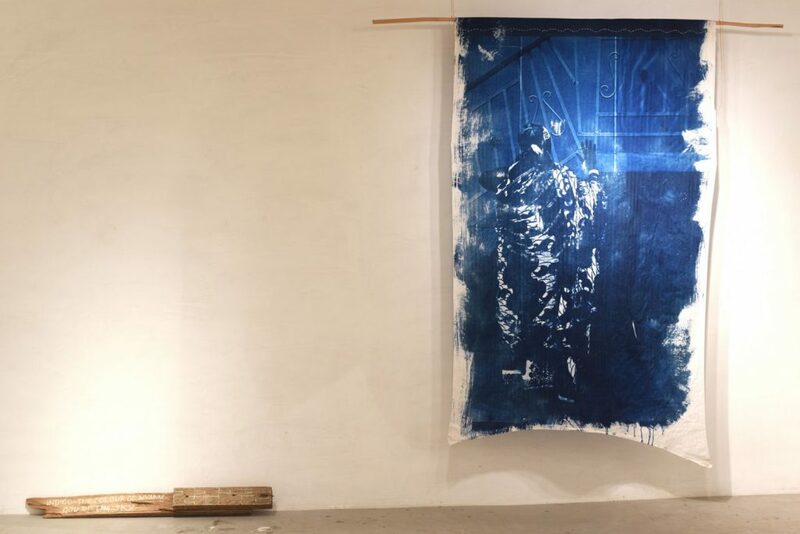 Her home, she states, is in the movements and material quality of the fabrics and textiles that are her preferred canvas; the threshold being itself an expression of their shifting outlines. 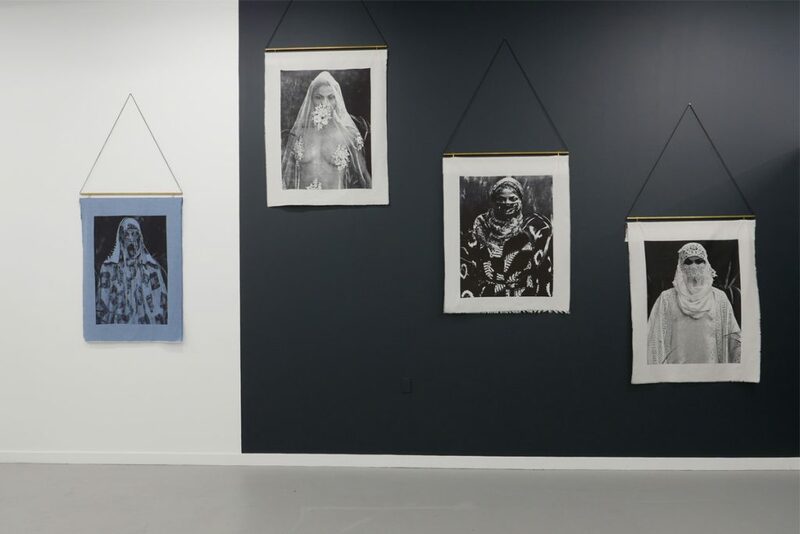 In fact, the linen and cotton, wool, bedsheets and rags on which this artist prints portraits and self-portraits compel a reflection on, quite literally, what makes identity. For a woman who identifies as “German, Afro-German, African, Ghanaian, Obroni, Asante”, heritage and tradition, autobiography and history, the “here” and “there” are like threads that need untangling. They are notions calling for the deep and complicated unpacking of paradoxes and layers of contradictions. 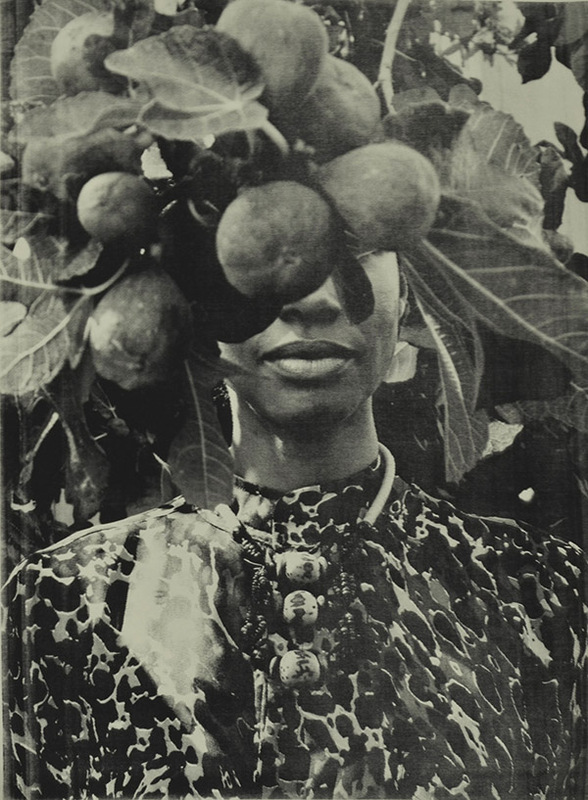 The hyphen, which has come to mark generations of individuals belonging to what writer Taiye Selasi calls the “scattered tribe” of the “Afropolitans”, the cosmopolitan Africans, is Opoku’s home, the pause she forces on her public as she looks for her history in the nature and urban universes of Europe, Africa, and America. Opoku’s installations make us hesitate on this threshold, inviting an investigation into the possibility of finding and embracing one’s sense of self in the in-between spaces, the areas of transit and intersection where boundaries give way to flows, putting different worlds in touch with one another. 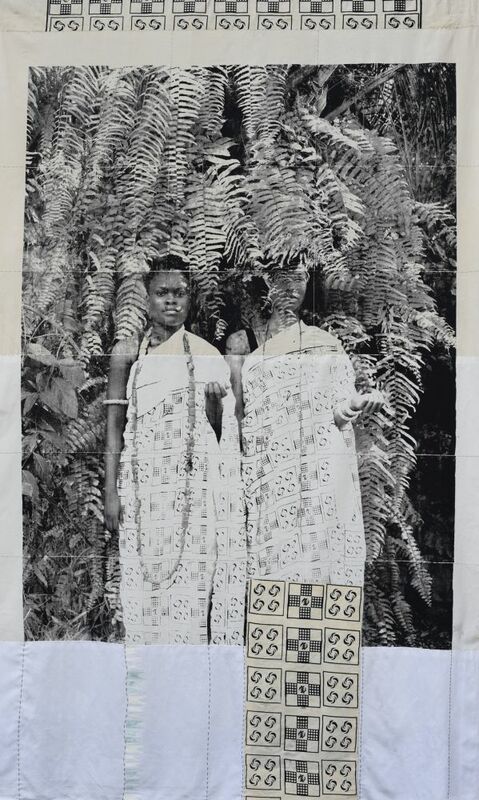 Her work is an exercise in intuition of what lies at the next turn, behind a drape, in the nooks and crannies of stories and histories always only half told, as in “Queenmothers” (2016) where she uses alternative photoprocesses to impress images of the Ahemaas, the queen mothers of Ashanti, on bed sheets. This work is a tribute to the influential women of Ghanaian society whose role is eclipsed by patriarchal dynamics of power, as well as the outcome of an effort at reclaiming a hybrid, trans-cultural identity that brings together the “West” and the “Rest”. The bed sheets carrying the pictures are maps where images of these extraordinary women rest on the immaterial impressions of other anonymous bodies, possibly the bodies of women who have slept in them, creating layers of stories that come together into an other History. 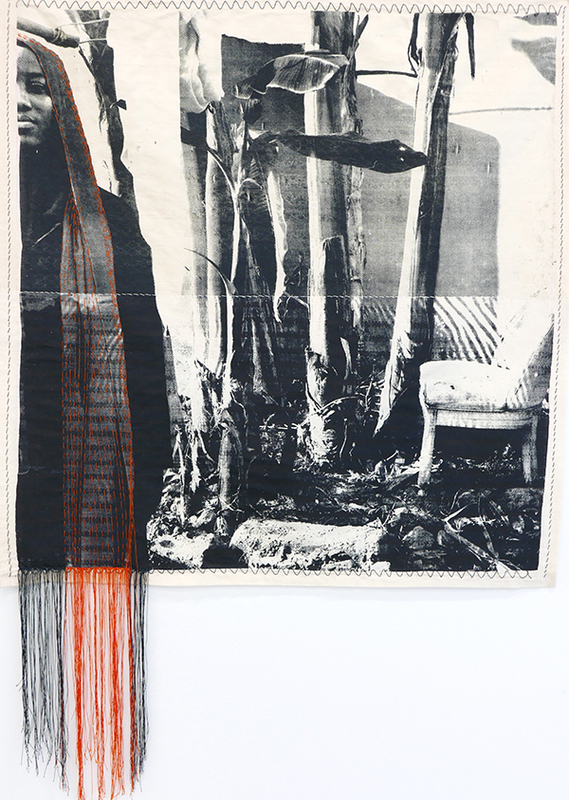 In the series “Textures” (2012), “Textures II” (2013-15), and “Selfportraits” (2015), leaves, branches, and fabric block the view of the artist’s face and features. These luxuriant screens evoke bodily features without actually showing them fully, letting the observer fill in the blanks of the fragmented subject that is playing a game of hide-and-seek with the camera. 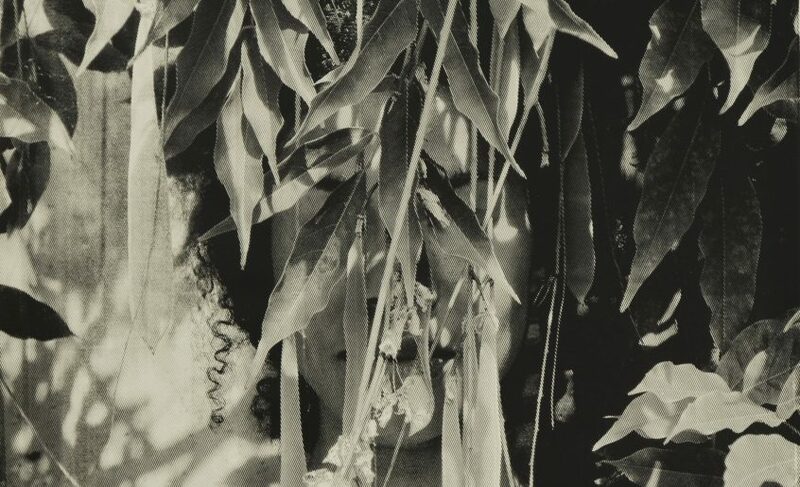 Opoku claims to be fascinated with disguise, stating that she lives like a “chameleon”, practicing blending and even disappearing in the environment. In these series the relationship between model and environment recalls the African masquerades, cultural practices that establish a continuity between self and other, consciousness and unconsciousness, the physical world and the world of spirits. Opoku’s installations express the coming together of extremes as a type of camouflage that rejects the public’s gaze, relieving the model from scrutiny. Here as elsewhere, self-perception is found in what escapes clear-cut classification, in this negotiation of disparate elements that play a symphony of the wandering hearth, returning an ephemeral and multifaceted “me” to the observer. To follow Opoku’s “unraveled threads” is to embark on a journey of affirmation that takes into account the artist’s position vis-a-vis notions and experiences of displacement, abstraction and relocation. Opoku expresses these themes powerfully also in her latest work entitled “Harmattan Tales”, on solo view at Mariane Ibrahim Gallery until 17 March. Once again, “Harmattan Tales” uses layers as a means to reflect on what is accessible about identity, what is straightforward and what only appears so in a woman’s sense of self. Women, including Opoku herself, appear draped in textiles that conceal as well as reveal the body and the face. 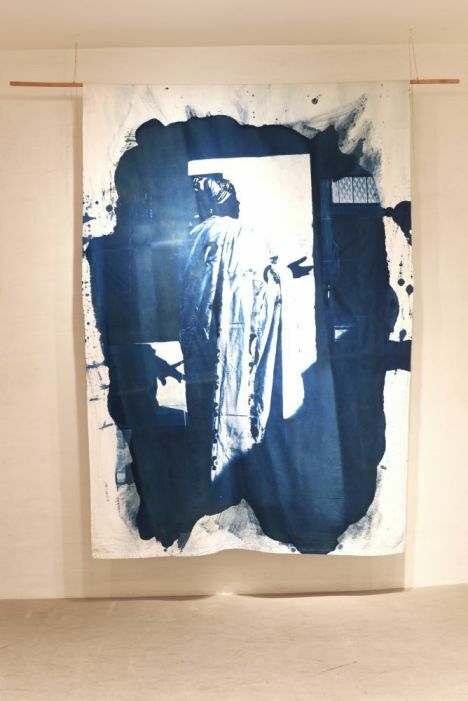 The work calls attention to the uses to which these veils are put by Muslim Ghanaian women in particular, whose relationship with each other and the spaces they cross is articulated precisely by the custom of veiling and unveiling. Opoku follows these women around the city, using dress codes to chronicle a growing feeling of mutual respect and confidence, at the same time linking her own journey of self-discovery to this exploration of lived experience, intimacy and otherness. As a young woman in the prime of her artistic years I look forward to enjoying the next installment of Opoku’s research of the means of female self-affirmation.